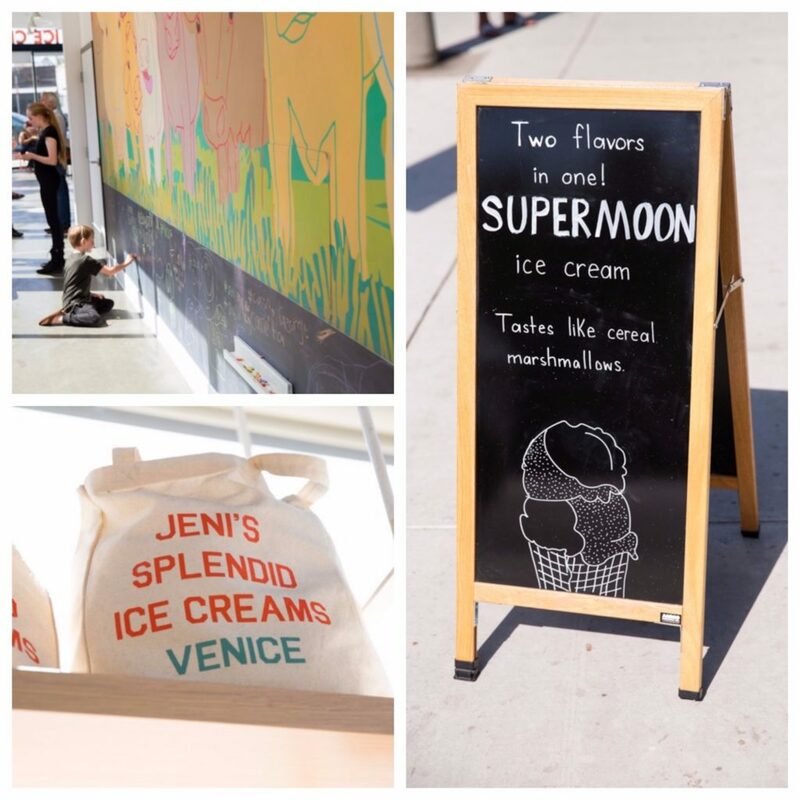 Owner and founder Jeni Britton Bauer has been making ice creams for over 2 decades. 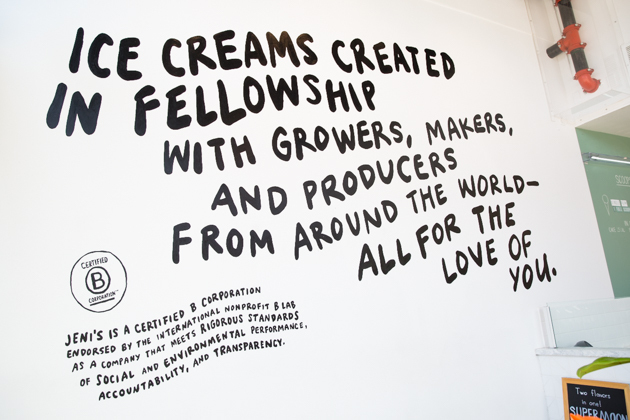 She founded Jeni’s Splendid Ice Creams in 2002, with the vision to use whole ingredients and dairy from grass-pastured cows, well ahead of the trend. 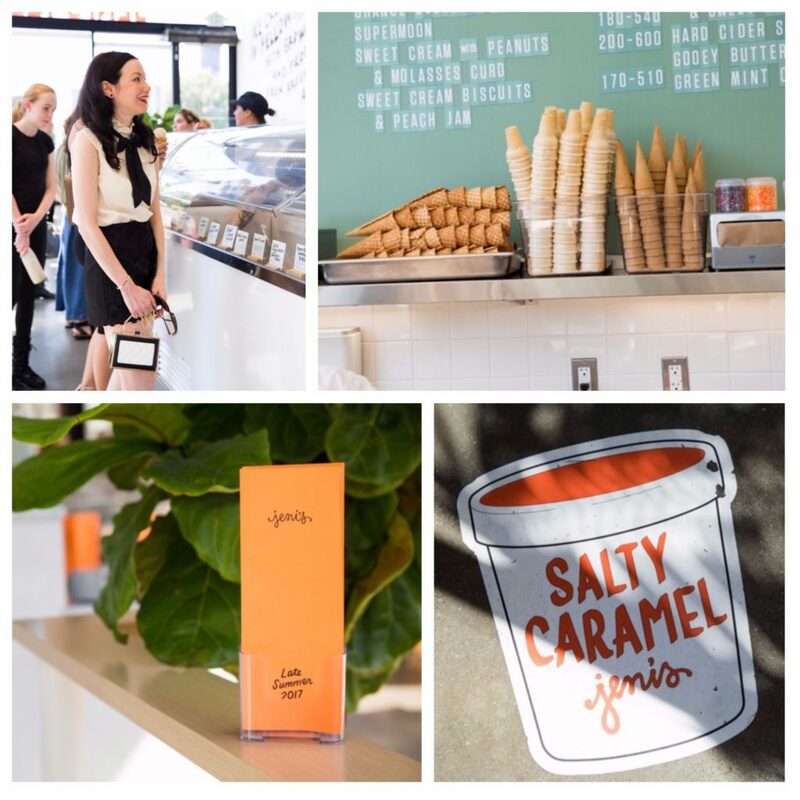 She now has locations in 9 states including 4 locations in Southern California. Neghin and I tried a sample or two before making our decisions. I ended up with Green Mint Chip and Intelligentsia Black Cat Espresso, as I’m such a creature of habit. 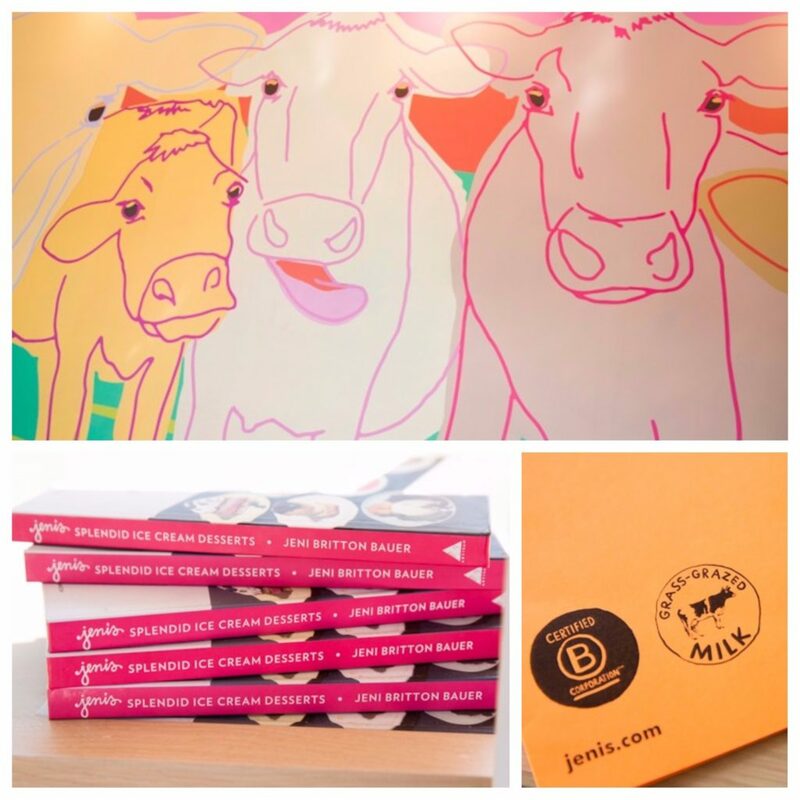 Jeni’s changes her menu Seasonally though, so you can bet your sprinkles that I’ll be back to try their new Pumkin 5-Spice and returning seasonal favorites Sun-Popped Corn and Sweet Potato Éclair. 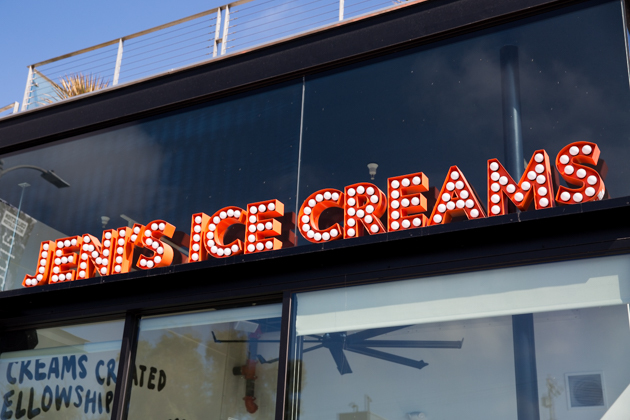 It seems that in the blink of an eye the Summer has come and gone and Fall is here at last, but just like my friends across the pond, I firmly believe that ice cream should be enjoyed with every season. I probably won’t wear shorts while eating my Pumpkin 5-Spice though. Be sure to take home a pint before you leave. 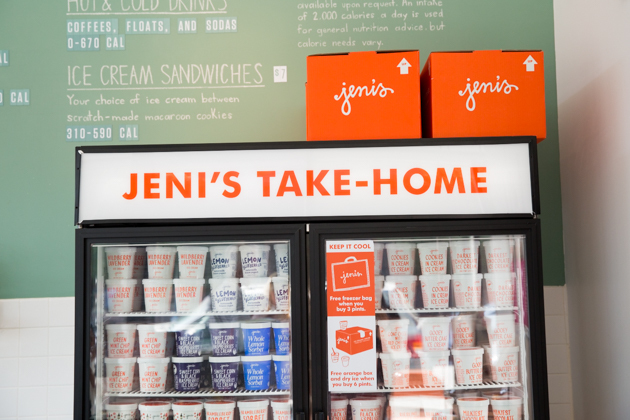 If you don’t live near a Jeni’s shop, you can find her ice cream in the freezer section of many grocery stores including Whole Foods, Gelson’s and Bristol Farms. 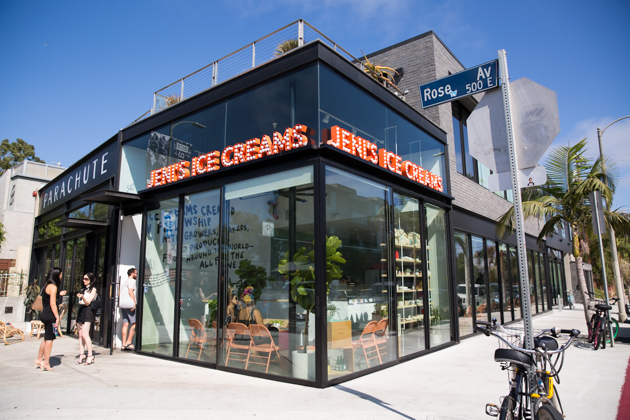 You can visit Jeni’s Splendid Ice Creams Venice location at 540 Rose Ave. For additional store and grocery locations visit Jeni’s site here. Outfit details here. 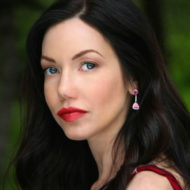 And be sure to visit Neghin’s blog here. Thank you so much for stopping by and please let me know your favorite ice cream recommendations!